Billy on the Street is moving. 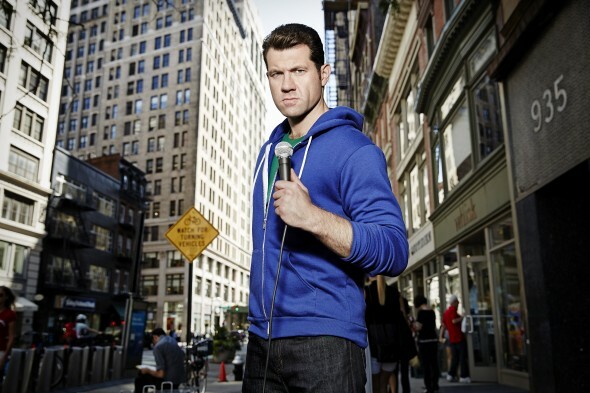 Deadline reports the Billy Eichner TV show will continue but not on truTV. The show follows Eichner “as he hits the streets of New York City to test unsuspecting passersby” with trivia and various gags. Celebrity guests have included Tina Fey, Lindsay Lohan, Paul Rudd, Jon Hamm, Julianne Moore, Olivia Wilde, Chris Pratt, and Anna Kendrick. In a statement, truTV confirmed that future seasons of Billy on the Street will not air on the network. This is not the first time the Emmy-nominated series has moved networks. Billy on the Street aired on Fuse for three seasons before moving to truTV in 2015. What do you think? Are you a fan of Billy on the Street? Are you glad it’s not ending? More about: Billy on the Street, Billy on the Street: canceled or renewed?, TruTV TV shows: canceled or renewed? I’m Sorry: Is the truTV Series Cancelled or Renewed for Season Two?